It might be my fan bias speaking, but I instinctively knew Persona 5 would be my GOTY as soon as the game started up. I was a goner the moment my screen swirled to life with sultry red and striking blacks, my excitement smashing through the roof as ‘Wake up, get up, get out there‘ played through my headphones. The game smashed my expectations at every turn, delivering in every department be it art, sound, gameplay or story. Everything was polished to near perfection. The Phantom Thieves swooped in and stole my heart, it’s impossible not to fall in love with such a cast of likeable characters as I watched them navigate the thorny path of self-discovery. Throw in an interesting plot and a kickass soundtrack, it’s not surprising Persona 5 sold over two million copies worldwide. I also consider the game to be an excellent introduction to the Persona series, explanations for various game mechanics like social links, being easy to grasp. 2017 was a stellar year for games, no matter what kind of gamer you are. There was something for everyone this year, from competitive multiplayer enthusiasts, to horror experts, to open-world adventure seekers, with so many other options to explore. Some honorable mentions include Super Mario Odyssey, Breath of the Wild, Cuphead, Horizon Zero Dawn, and Splatoon 2, and leaving these names off my final list has left me feeling a little remiss. However, the top 3 games that I’ve chosen, and consider to be the best titles to emerge out of this impeccable year of gaming, have earned their rightful place at the top of the list. I must say, though, that some of the best times I’ve had gaming this year were those late nights on Discord with my buddies, losing in PUBG, grinding for hours in Destiny, or playing Yu Gi Oh! Duel Links until the sun came up. The following are my top 3 most important, and best games that emerged out of 2017. I didn’t think it was possible to see this one coming. PlayerUnknown’s: Battlegrounds (“PUBG” from here on out), stormed the beaches of video game Elysium. 100 players duke it out, Battle Royale style, to loot, shoot and survive until they are the only soldier left standing. Never leaving its “Early Access” phase, PUBG soared to the #1 most downloaded game on Steam, surpassing the unstoppable leviathan known as DoTA 2. Everybody wanted a piece of the action, and everybody got some. PUBG peaked at 2.9 million concurrent players, while averaging (currently) 1.3 million. These numbers don’t lie. PUBG is a game to be experienced, and here’s why I believe that. Every round is different. The starting plane drops you off on a different path each match, changing your initial drop off location, game-by-game. You’ll never play the same game of PUBG twice, and you’ll feel that each match is a unique fight for your life, where anything could happen in the blink of an eye. The replay value for PUBG is immensely high, even for casual gamers. Everybody wants to survive until the end, and often, those dreams are snubbed out by a hillside sniper when no one expects it. Often, you’ll make it to the final circle, 4 other soldiers still alive, with fear running through your veins. Out of the corner of your eye, you see an enemy pop his head out from behind a tree, so you line up the shot, and when you do… BAM! Someone takes you out, instead. So you exit the match, breath three times, and load up another. 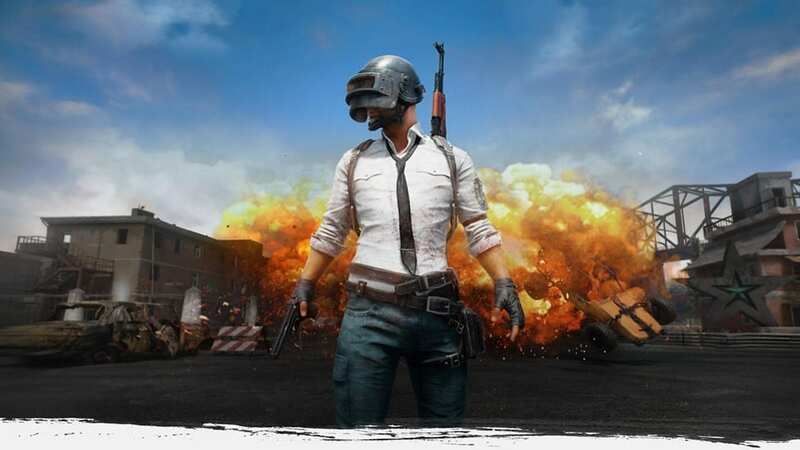 Right back into the fight – only one road leads to victory in PUBG: persistence. On the other hand, weapon design is crisp and impressive. Weapons are accurate to their real-life models, looking and feeling good in your hands as you shoot. Entering into first person mode gives you a better look at the detail that Bluehole put into their weapon design, offering a greater sense of immersion and connection to your soldier’s loadouts. Combat and gameplay are the two areas of PUBG that seem to be the most challenging for players. Aiming and shooting are vital skills, but are difficult to master. During the early days, I felt that all of the weaponry was poorly designed, feeling a bit like every gun was an over-powered pea-shooter that I couldn’t control for my life. Over time, I learned that this downfall was my own. These weapons will shoot where you tell them to, if you’re good enough to do so. Shoot straight, and so will the gun. I learned this from watching popular Twitch streamers pick off noobs from hundreds of meters away with nothing but a Red Dot Sight. There’s more to PUBG than shooting, though, which is where the mind-games come into play. There’s 99 other players on the field, and they could be anywhere, at any time. You must master the skills of sight and sound, gamesense, perception, and awareness to survive until the end. It’s not just about surviving… it’s about knowing how to survive. It’s a well-made game, still in its early days. At the time of writing this (December 21st) PUBG has officially entered full-fledged 1.0 status, which is exciting. This brings many changes and updates, balancing things out even further, offering players more tools to their murderous arsenal, and demonstrating that PUBG is truly in it for the long-haul. 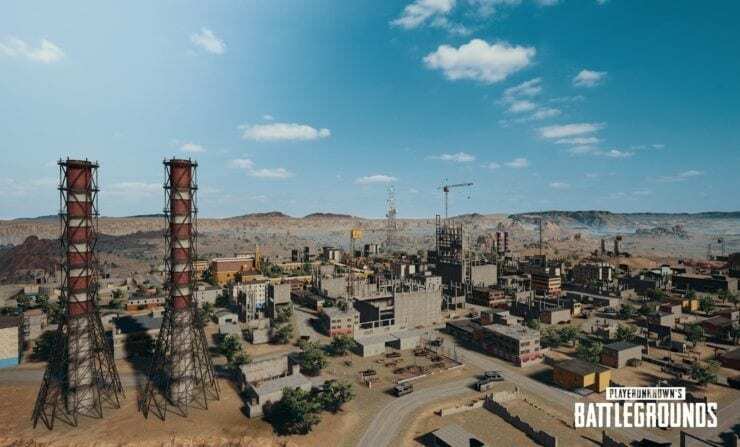 The most impressive thing that PUBG has done, thus far, has been the release of the new desert map, Miramar. With this addition, it feels as if PUBG has accessed a second stage of enlightenment. What felt so expertly crafted has only been improved upon, and this is only the beginning. PUBG is a monster of a competitive multiplayer shooter, and I don’t think it’s going to be stopped anytime soon. Sure, PUBG has to compete with games like Overwatch, Fortnite, and Call of Duty: WWII, but in my humble opinion… PUBG stomped ‘em outright. 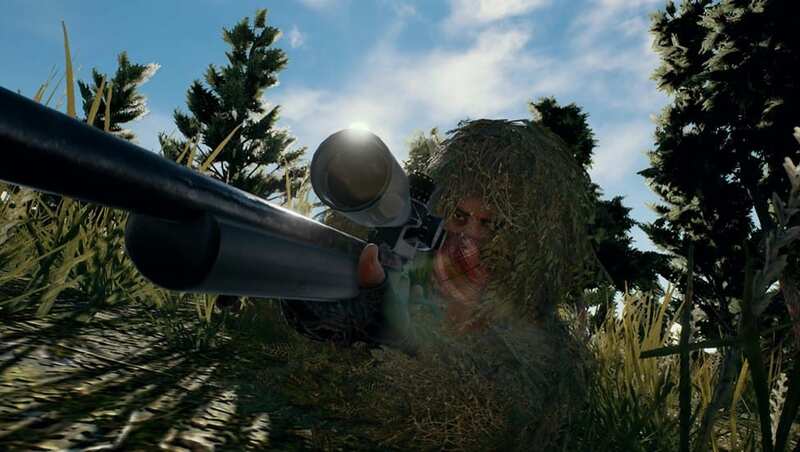 PlayerUnknown’s: Battlegrounds takes an easy #3 best game of 2017. What a troubling series, Destiny is. Years ago, my friend and I booted up D1 with anticipation and excitement bursting out of our hearts. What we quickly learned was without a full squad of friends and without the capital to fund the required DLC, we would be unable to access more than half of the game’s most exciting activities. Raiding, Nightfall Strikes, and generally, all of the end-game, high-reward activities, were inaccessible to us. As a result, we ditched the game within a month. However, about a year ago, I decided to give D1 another chance. 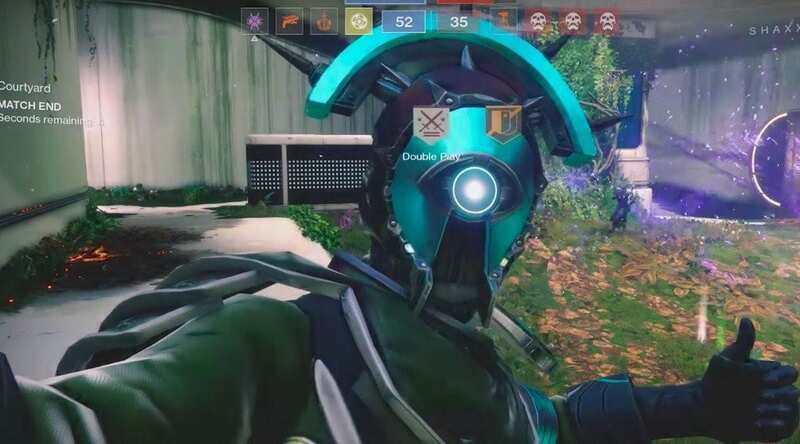 In a freak occurrence, I ran into a friend at the Tower. I was a lone guardian, forced, yet again, to view the end-game activities from the sidelines, trying my best not to let it bother me. And one evening, while talking to Eris Morn, turning in some nonsensical quest, I was bothered by a fellow guardian, who was jumping all around and on top of me. I recognized his name. “ahhhimrawr,” my friend, Hunter. This is when things really kicked into hyperdrive. I joined Hunter’s fireteam and he, along with 4 other friends, guided me through the raids for the first time. The joy I experienced during this time is difficult for me to put into words. It feels like years of waiting, hoping, and wishing, all to come to fruition with ease, in the company of good friends. I became a guardian. Finally, I knew what it was like. With all of this preamble being out of the way, let’s discuss Destiny 2, and let’s address something important: It is not a perfect game. It may not even be a “good” game. It is, my 2nd favorite game of 2017, though. The story is limited, short and sweet, but this isn’t an awful thing. Many more cutscenes were featured in Destiny 2, than D1, and there was a greater sense of character development from the first. Our light has been stolen, (the precious light that I worked so hard to achieve in D1, is now gone,) and the goal of the story is to get it back. After that’s done, you’re in the “endgame,” a long and dedicated process of grinding. Many issues with the first game have been resolved, but not all of them. More options for matchmaking are made available, (solving the problem of not having a full team of friends,) as well as a massive spectrum of new, unique, and modified activities. There is always something to do in Destiny 2, always something to strive for, always something to feel good about, if you can manage to hold out for long enough. Destiny 2’s design is beautiful and breathtaking at moments. To see an entire planet eaten by an alien ship is pretty wild. Io and Mercury are gorgeous in their landscapes, and Bungie makes good use of the playable spaces, tucking something good in every corner there is. Armor is, (as it always has been) cool as heck, with constant improvements upon an already high standard of greatness. As the game slid from Season 1 to Season 2, guardians have seen an influx of awesome new weapons and armor, a trend that will continue from season to season, as the MMORPG heart of Bungie’s brainchild continues to beat. Gameplay is split into two basic categories: PvP & PvE. PvP guardians duke it out in The Crucible, testing their strength against the other highest competitors in the galaxy, while other guardians, like myself, focus more on the PvE side of Destiny. PvE ranges from open-world exploration to smaller adventure missions, random patrol fetch quests, major story missions, strikes, raids, and many more things filling the cracks in between. Both PvP and PvE reward guardians appropriately, allowing the player the option to play the activities they want to. Raiding is an incredible experience, one that I recommend to all. The Leviathan Raid is unique, far different from anything Destiny 1 had to offer. It encroaches on our abilities as players to communicate with each other, and work as a team. Strategies must be determined to a tee before initiating an encounter, or you’ll end up messing up, ruining it for everyone, and wasting 20 minutes of other human beings’ lives. The strategy required for The Leviathan raid mechanics are awe-inspiring, and have challenged me as a guardian, gamer, and person. The sound is good, nothing for me to bat an ear at, though. I often play at a low volume of 2, because much of the white noise that the game throws in my ears can be distracting. I don’t need Cayde to repeat this same voice line I’ve already heard hundreds of times, especially when I can’t hear what my friend is saying to me… But the soundtrack is nice. Again, nothing remarkable or stand out, but it’s thematically fitting at all times, nonetheless. High-intensity moments are matched with a high-intensity music, while more somber moments are matched with light, calm, airiness. Bungie did a fair job, but there are no memorable tracks that stick in my head, or anything. As we enter 2018, we have a lot on our plate, in terms of Destiny 2. There’s been issues, like content locking for players who didn’t purchase DLC, community aggression with microtransactions, and dissatisfaction with the state of many mechanics and RNG items. Unfortunately, many players hold the opinion that Bungie is a money-hungry-monster out to capitalize on cornering specific parts of their game, forcing players to buy, buy, buy. Currently, The Dawning winter/holiday event is viewed with harsh criticism for this reason. 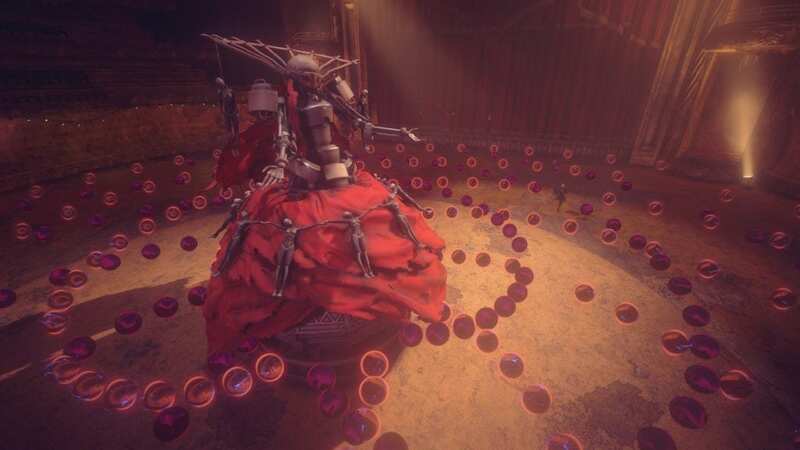 In short, Bungie has developed cosmetic items that are nearly impossible to obtain (in the time frame they are available, with the game’s normal limitations in place,) without spending real money. It’s troubling when a game locks players out of certain types of content, whether it be an activity or a cosmetic item. I don’t think I’m alone in the belief that I paid full price for the game, (twice, by the way… PS4 & PC,) and deserve access to at least, everything “vanilla.” Developers shouldn’t be taking things away from a dedicated community. It’s a dark cloud on the otherwise bright and shiny day that is Destiny 2. I love Destiny 2 for the changes it brought, the fun I’ve had, the hard work I’ve put in and been rewarded for, and the adventures I’ve had with my best friends. Destiny has its problems, of course, and some of those problems are enough to stray players away… But I appreciate the system we have, the product I’ve been given, and the game, as it is, and for what it will be, as it continues to be a living, breathing, MMORPG. We’re in our 4th year of Destiny, and there’s no denying the progress that Bungie has made over this time. I look forward to what is to come, and look back in appreciation and admiration for the past few months I’ve spent with Destiny 2. 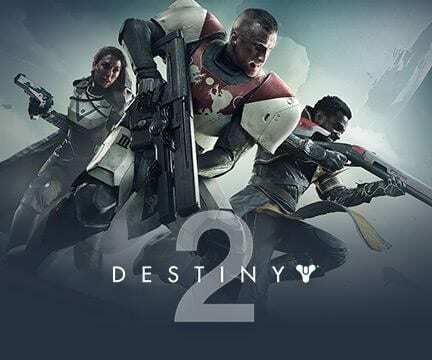 Destiny 2 takes the #2 spot for best game of 2017. I’ve struggled for days to write this entry. NieR:Automata is hands-down the most important game that I have ever had the good fortune to experience. I played this game for 7 days straight, immersing myself in a world that I could never truly comprehend, but would be constantly infatuated with. I hadn’t played any other games by the genius, Yoko Taro, but realize after completing NieR, just how grave of a mistake that is. I will do my best to explain why I love this game, and why this is my favorite game of all time, but that, I feel, is close to impossible. To explain the emotional roller coaster, and narrative epic that NieR encompasses, along with the philosophical undertones that still have me questioning my faith in humanity, is what I feel to be the most difficult. But hell, it was a damn good game. I really hope you play it. It’s not easy to get into. You walk past it on the shelves, marking it off as a “super-complex” Japanese RPG that you wouldn’t understand, even if you tried. And you notice the short skirt on the heroine, 2B, and mark it off in your mind for other reasons. Maybe you’ve seen gameplay, and notice that it looks like nothing more than a convoluted hack’n’slash, and marked it off for that reason. Here’s the deal. All of that is wrong. NieR is, indeed, difficult to access. From the start, everything you know is shrouded in mystery, but, you find yourself inspired to uncover the mystery – for whatever reason that may be. 2B, and the mysterious Yorha organization is challenging to understand, and for quite a while, I wasn’t sure whether I was playing as an android, human, or a mix of both. NieR is one of the strangest games I have ever played, and I think Yoko Taro toys with this, purposefully. When things are strange, you wonder why, and you wonder how something so strange could come about. However, it’s all for greater purpose. Everything comes together, all the strings of story and little pieces of dialogue that may seem to be inconsequential at the time, will arrive at the same junction of narrative perfection, coming together to create a beautiful masterpiece of a game. I don’t want to get into the story. I do, though, want to affirm that it is fantastic. 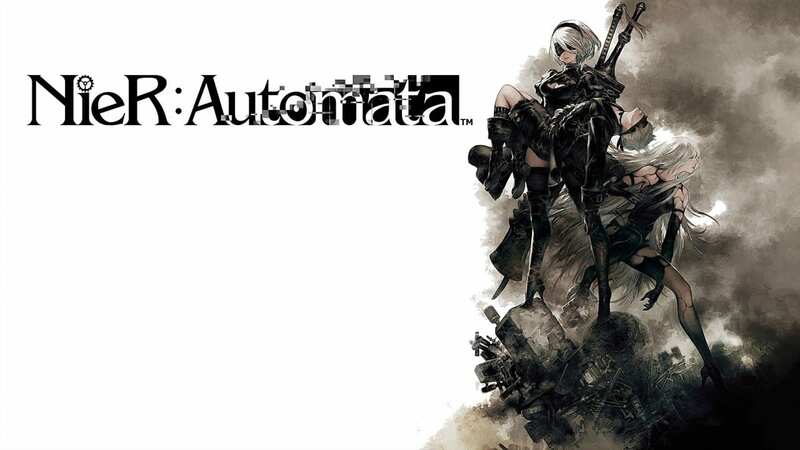 Mystery and confusion, feelings of loss and abandon, guilt and anger, all bleed through every inch of NieR, affecting everything you come across. The strangeness of some characters, like Adam and Eve, paired with our already-concieved understandings of those figures, create a juxtaposition of intense philosophical tenets, that has left me feeling like a different person after playing. The mood is grey and guilty, and you don’t know why, but you know that it feels right. Something massive is amiss, someone is behind it, and 2B has absolutely no clue where to start with unraveling this. 2B’s story is an emotional adventure, one in which you step into the shoes of a great warrior, who never shows fear, but fears to show emotion. 2B slays every enemy in her path, in the name of truth and understanding. After her story is complete, you do it all again, through the eyes of another, major character. With this perspective change, comes massive narrative changes, and your outlook on the events of the game change drastically. And once you’re done with that playthrough, there’s another one. You play a third character. After that, there’s 2 more endings, and when I tell you that Ending E is a marvel of video game design, I mean it. Characters do exactly what they should. 2B is our heroine, who fears to show emotion, denying its existence outright, at times, but remains a strangely distant, and well-loved character throughout. You feel for 2B, but also wonder why she is the way she is, especially, as she is an android, programmed for war. She’s the face of heroism. 9S, her hacker sidekick, is the perfect counterpart to 2B’s brash and stoney persona. 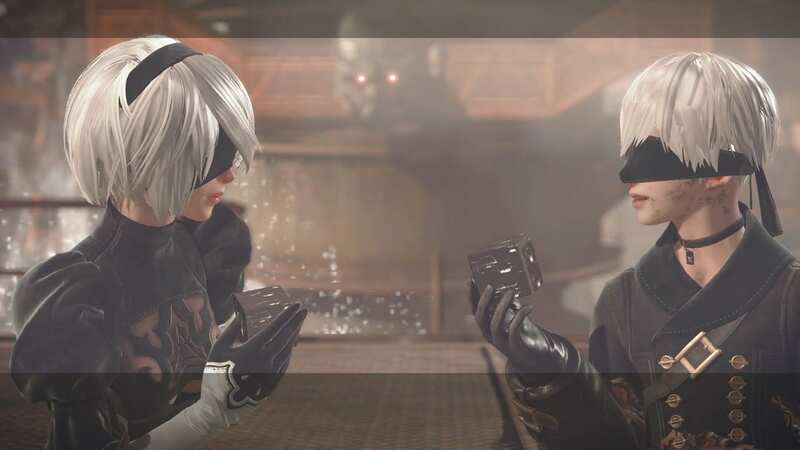 9S cares about things, people, animals, other androids, and even the enemies, on occasion. 9S is the face of humanity, I think, or at least, that of human emotion. The combination of 2B and 9S, as a team, both during combat and outside of it, is a match made in heaven. (It just gets a little weird during that one scene at the end… But I digress.) 2B and 9S are the main characters, but their greatness is only supported by a cast of interesting faces and personalities, like Emil, Pascal, the Yorha commander, A2, and so many others. The world, and all the things that are at stake, are demonstrated tastefully through the wide range of characters and their personalities, motivations, and reactions to things. The world’s design is bare, but importantly dynamic. Dropping into Earth to find it as some strange post-post-apocalyptic wasteland, with a scarce population. is a bit jarring. However, as you explore the world, you grow to understand it and all of the history that it holds. As you walk through the city, you see dilapidated buildings, and understand all of that as a “casualty of war,” leaving you feeling misaligned with your own ideals as a, literal, war machine. Things change over the course of the game, such as landmarks and major areas. At one point, a very large robot will position himself smack-dab in the middle of the main city, but only after a major event happens in the story. As you progress throughout the game, the environment changes alongside of you. Your decisions in this time of war impact the world, and Yoko Taro doesn’t ever let you forget that. 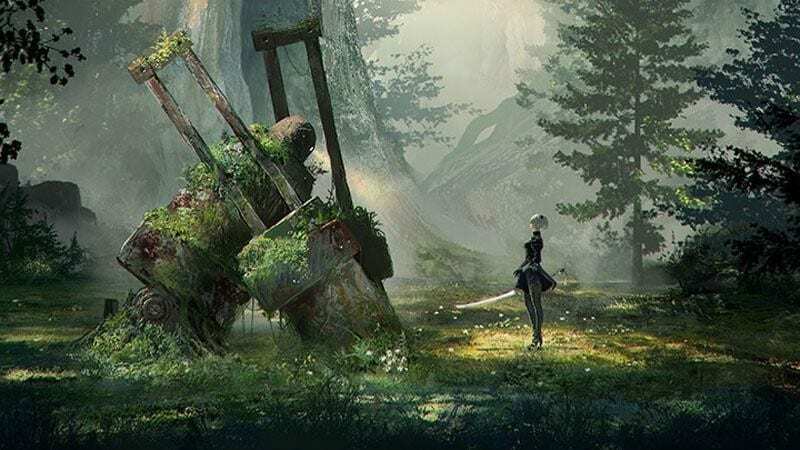 Certain standout locations like The Lost Forest and The Amusement Park are unforgettable, and, with all things in NieR, the decisions you make, and the truths you learn as you go about the world, change everything, including your understanding of yourself. The soundtrack is impeccable. It is immersion at its finest. With a dynamic and ever-changing playlist of 40 songs, each area, and the specific feeling or emotion that you have at the time of entering a that area, is matched perfectly, creating something fitting, and unique every time. For example, there are 4 versions of the Amusement Park track, (quiet, medium, dynamic, and hacking,) which changes based on the occasion. The tracks are memorable, often staying stuck in my head for long periods of time, but troubled, because I don’t know or understand the words. Keiichi Okabe Keigo Hoashi, the composer for NieR, assisted in one of the most important and successful aspects of NieR, and his work shall not be disregarded. I often listen to NieR’s soundtrack while writing, or working, and can call back to those intense, emotion-fueled memories that NieR brought me. Even the sound is beautiful. Controlling the game, and mastering 2B’s movements and sword-art, was another crucial aspect accounting for my love of this game. An incredibly smooth and satisfying hack’n’shlash combat system is paired with a drone that fires consistent ranged projectiles, and a movement mechanic that capitalizes on quick, jittery, and well-timed button taps requires controller-perfection.Combining light, heavy, special moves, grabs, drone bullets, and dashing becomes something of an unforgettable art-form. I never once felt that combat was repetitive, due to the great variation of things I could do with my character, as well as the diversity in enemies and enemy tactics that would change encounter to encounter. I had the most fun playing as 2B, falling hopelessly in love with her light attacks. Hacking as 9S brought about a surprisingly new mechanic halfway through the game, shaking up the already fantastic combat even more. Diversity, and fighting how you want, are at the forefront of this game. NieR is a game that I used the “claw” technique,” trying to maximize on my light attack, jump, dash, and shoot, all at the same time. 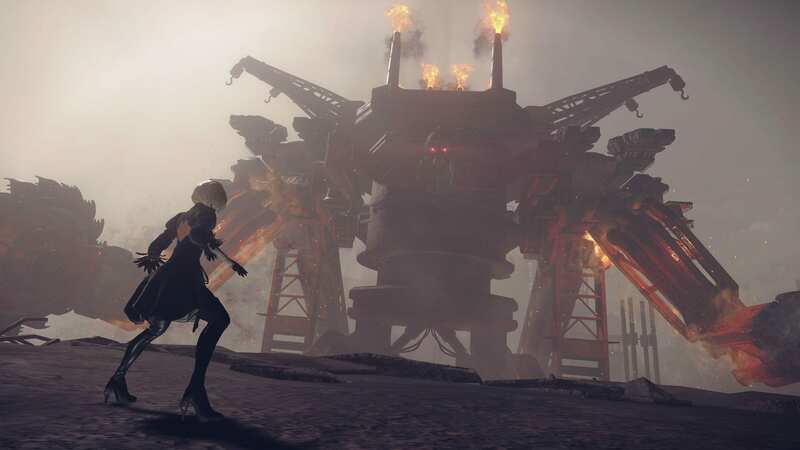 Playing NieR becomes something of an exercise in multi-tasking, using all of the tools in your arsenal to fight gargantuan bosses and hordes of enemies with finesse. Combat is fast paced and always entertaining. It’s important to mention this game’s ability to bend genres in such a seamless manner. NieR begins as a 3D, over-the-shoulder adventure-RPG with hack’n’slash controls. Only a few minutes later, 2B enters a spaceship and the game transitions into a 2D bullet hell shoot’em’up. There are also moments of 2D sidescrolling, such as the unforgettable Lost Forest Castle scenes. Upon the second playthrough, a hacking mechanic is introduced, changing combat and gameplay up drastically. NieR bends genres, bends expectations, and in so many ways, challenges you as a gamer, to find something better than itself. There are 26 endings in NieR. All of which are emotional journeys that teach you something about a world you don’t understand, but one that feels all too close to home, in the same breath. It’s thousands of years off from the civilization, time, and place that we live in, now, but it’s eerily not far off. The resulting world of NieR feel like an accumulation of our mistakes as humans, in all senses: emotionally, politically, economically, personally, etc. Finishing the first ending teaches you about the world and what is at stake, and why it happened. Finishing the second ending challenges your perceptions of that first ending, putting the player in a difficult position of understanding what the truths actually are. And if that wasn’t enough, finishing the third ending challenges that aspect. The fourth and fifth endings are things to be experienced, but I’ll leave those spoilers way out of this description. Each ending changes what you worked for, and what you thought you understood. Yoko Taro lays out the carpet, then pulls it out from under our feet, holds it up in front of our faces, and shows us that there wasn’t a carpet at all. Play NieR, complete endings A-E, and understand what it means to understand nothing. I’ve mentioned a few times over that NieR changed me as a person, and challenged my beliefs. This is in more ways than “what I understand about the game’s story.” This reaches out toward my concept of religion, beliefs in God, or gods, and how things such as life come to be. It’s made me question what, why, and how, I’ve grown to hold these beliefs, and left me feeling stranded. I don’t know what Yoko Taro wants to tell us through NieR, but I suspect that he wants us to feel how I am feeling now: lost, confused, a little guilty, but, firm in understanding that we cannot know anything at all. The strange world you inhabit in NieR is far too similar to the strange world you are inhabiting right now as you are reading this, and this feeling is a spectre that hovers over your shoulder throughout the entirety of your playthrough. NieR:Automata is, hands down, the most important video game to exist, period. Yoko Taro’s brainchild, this weird, wacky, religion and philosophically-fueled, hack’n’slash, 2D-sidescrolling, 3D-bullethell, action-adventure-RPG is a masterpiece, by definition. Sound, sight, intention, design, narrative, mechanics, and the beliefs behind this game come together to achieve the title of masterpiece. NieR consistently improves upon the sum of all of its parts, as it builds from start to finish, ending after ending. Every single individual who cares about video games should play NieR:Automata. It’s truly something to be experienced, in all senses of the word “experience.” To understand this game, you’d have to be a madman in a moon-mask. To love this game, all you have to do is be human. NieR:Automata takes the #1 spot for best game of 2017, and, with love and admiration, I say proudly, that it takes the #1 spot for my personal favorite game of all time. If you have a soul, and two thumbs, play this game.